This is a card made based on a sketch from CAS(E) this Sketch #165 and with stamps from Two Paper Divas. I wanted to make a birthday card with the banner stamp and a background with confetti. I used the stencil, Falling snow from Simon Says Stamp, and some ink blending with Distress Inks. The flags are simply colored with Distress Markers. Hope you have a nice Easter holiday. It's time for a new sketch from Kortskissen #350. I used some patterned paper for this card. 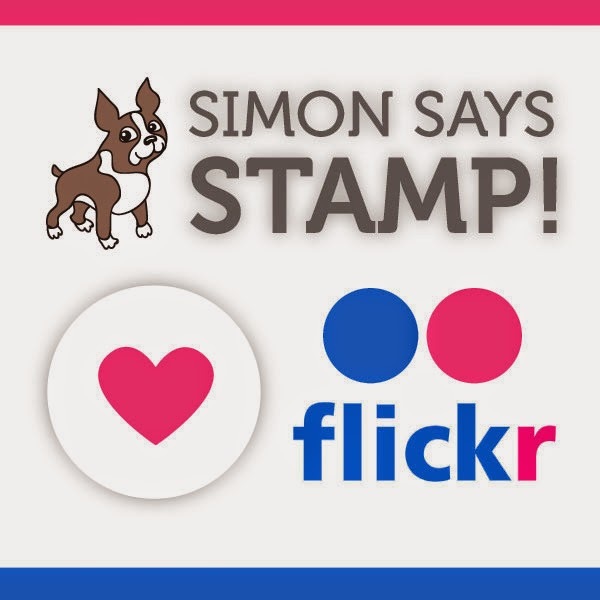 The paper comes from a Simon Says Stamp card kit, August 2015. 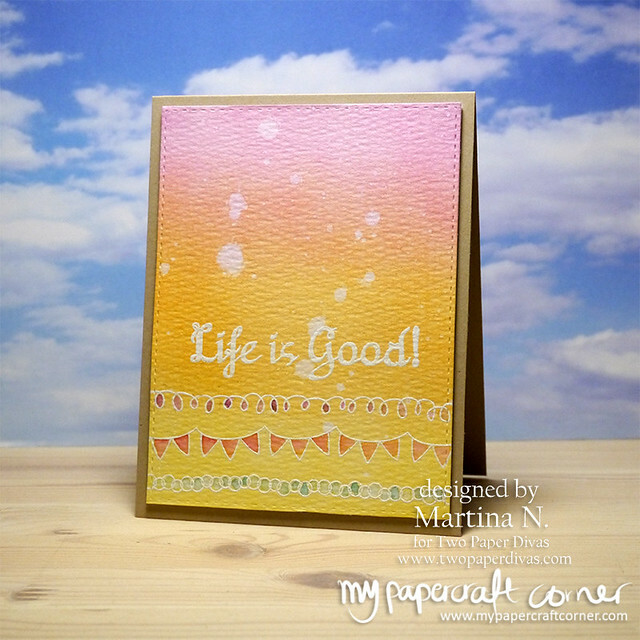 For this card I used the new border stamp set from Two Paper Divas and played with my Distress Inks. I white heat embossed the sentiment and borders and then used ink blending to create the background. 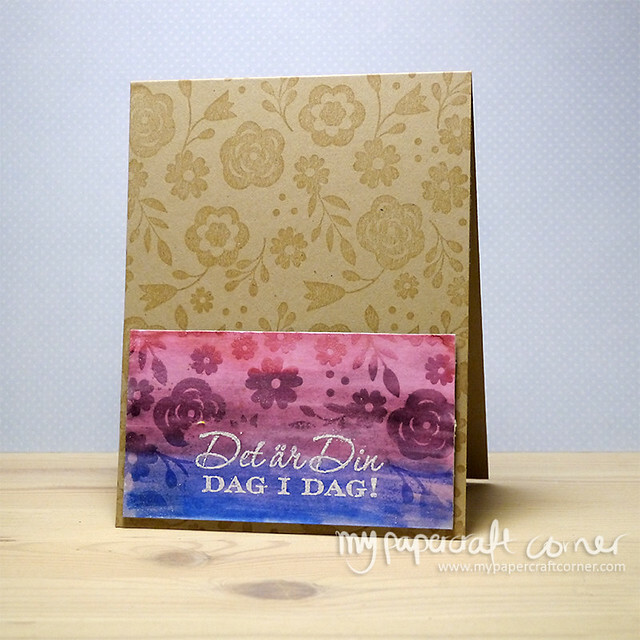 I used the Tim Holtz water color cardstock and the rough side. The ink was very easy to blend on the cardstock and it was a nice variation, for me, with the texture on the cardstock. I then used some water droplets and lifted some of the colors off. The background is also sprayed with a perfect pearl mix so it's a little bit shiny. The borders are then colored with distress markers. 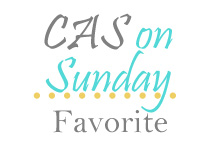 The card is based on a sketch from CAS(e) this sketch #164. 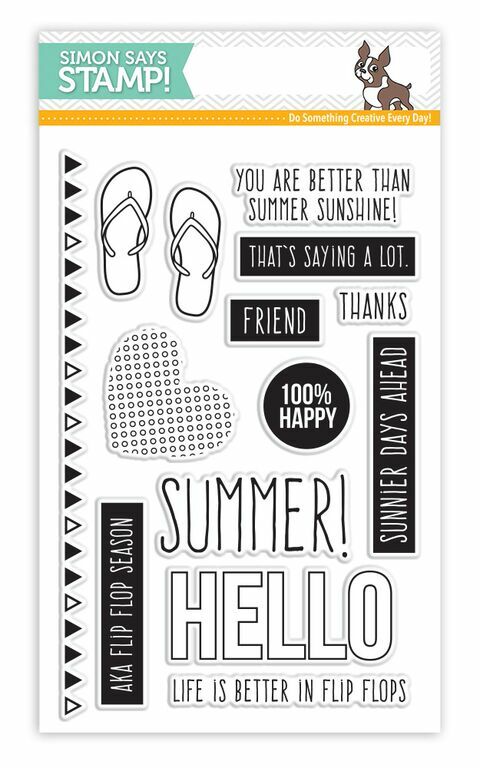 Wednesday and time for a new card with stamps from Two Paper Divas. 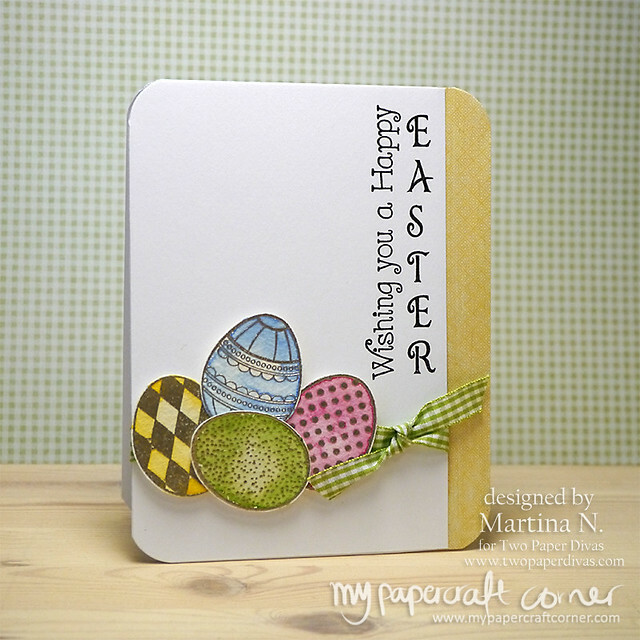 I love the new stamp set with the eggs and it was so fun stamping them i different colors from Hero Arts. I created the background with Distress Inks and ink smooshing. I used water mixed with Perfect Pearls so the background is shiny, although it's hard to see in the photo. Thanks for stopping by, don't forget to check the Marc 2015 card challenge here. This is my second post today. 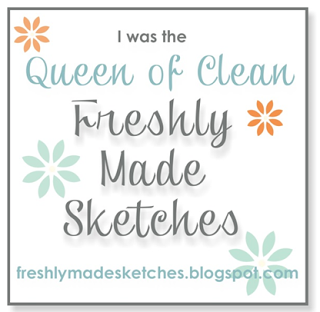 It's a new challenge at Two Paper Divas. The challenge will run for two weeks and this time it's a tic-tac-toe challenge. Play along here. I chose emboss, stamps and ribbon. 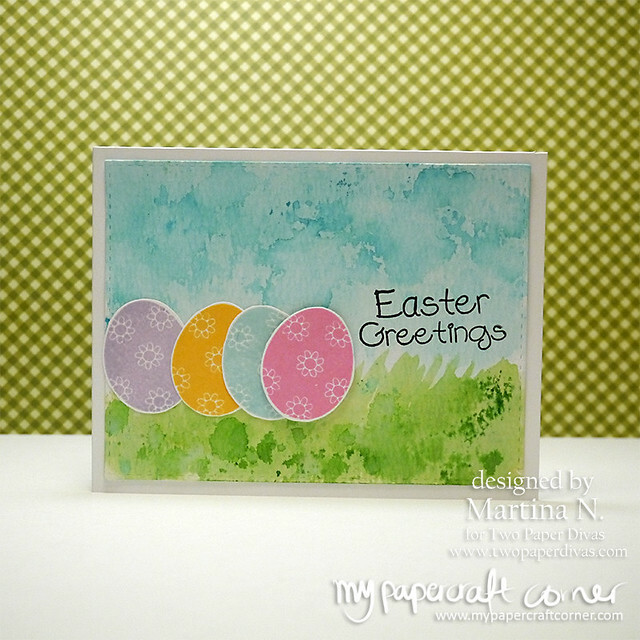 I embossed the eggs with platinum embossing powder and colored them with watercolors.